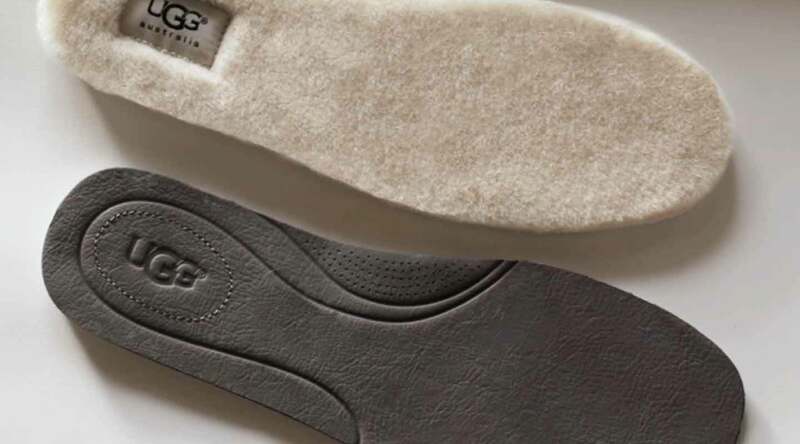 Offering the versatility of interchangeable dual insoles, TWINSOLE creates convertible footwear that can be worn with either a traditional cushioned insole, or a luxurious, natural wool insole. 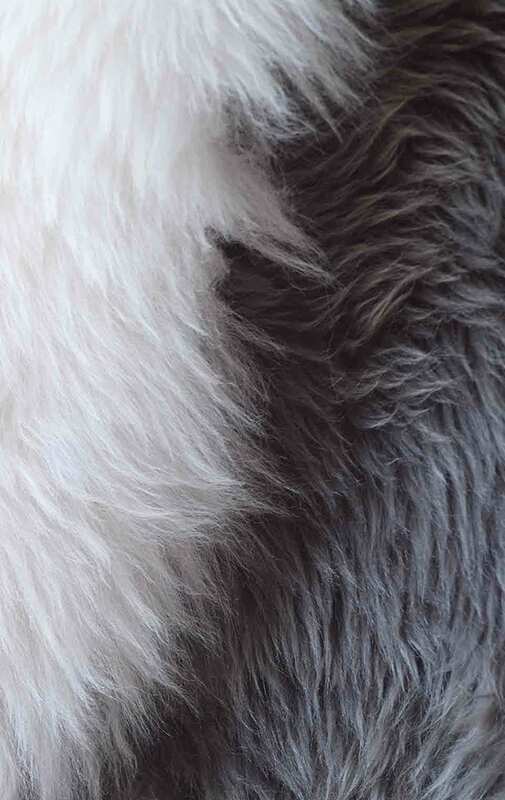 Delivering a plush sensory experience with every wear, UGGpure™ is luxurious, natural wool woven into a durable backing that enhances the overall product experience. 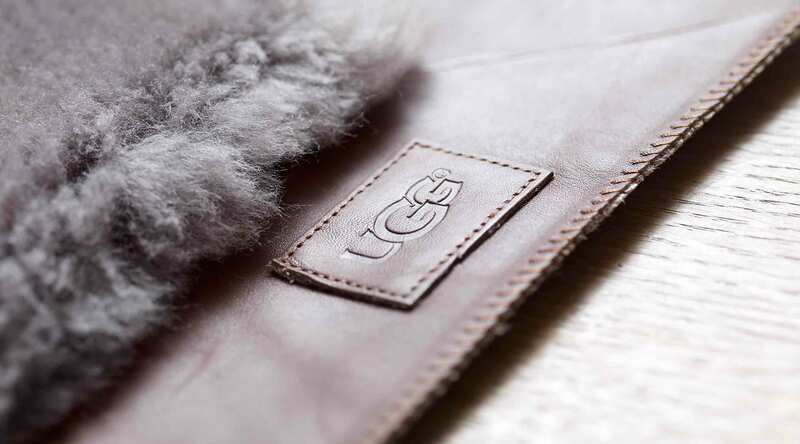 UGG sources the finest leathers available and employs a range of tanning and finishing processes to reveal the natural beauty of the grain. From top sprays that enhance luster, to high-gloss shoe creams and waxes that achieve a rich depth, our leather treatments deliver an unmistakable crafted aesthetic. 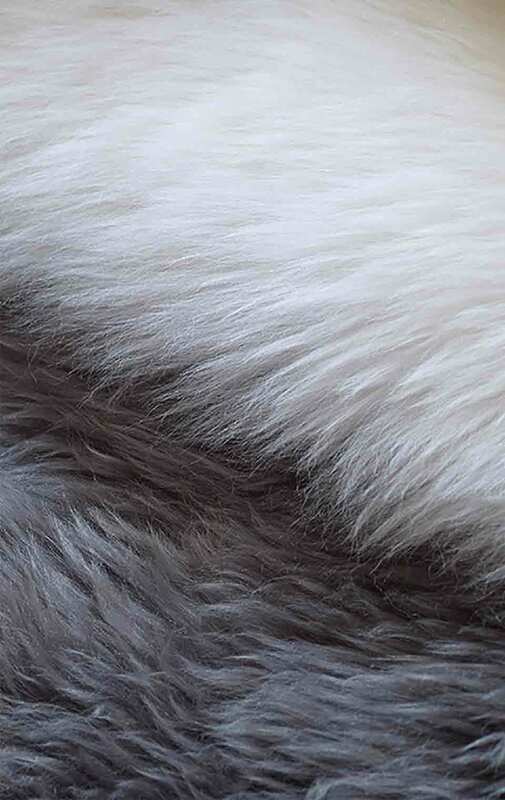 Exuding a rich, natural beauty, our traditional cow suede is ultra-soft with smooth nap. 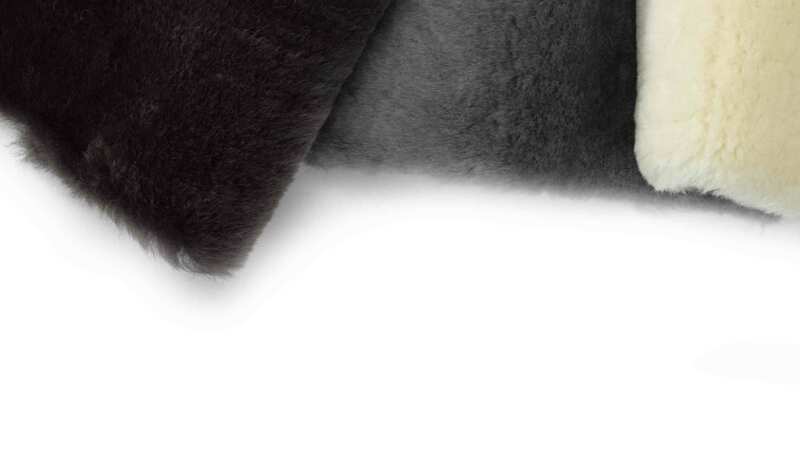 Our chrome-tanned Silkee Suede leather is a material wunderkind – offering breathable, perspiration-resistant, water-resistant, and stain-resistant properties. It’s perfectly poised to take wet weather in stride, finished with Scotchgard™ Leather Protector during the tanning and color process. Commonly referred to as “pony hair,” our chic calf hair leather gets glammed up with chrome tanning for a sheen silhouette. Capturing the charm of a handmade chunky knit, our Lattice Cardy knit lives up to it’s name with a lattice-inspired pattern executed in a cozy heathered wool blend..
A mainstay in our moccasin slippers, soft leather laces are crafted with specialty leathers cut at just the right thickness to be supremely resilient and wear-proof. Fabricated to reinforce the leather’s natural strength, laces are crafted to be colorfast and crack-resistant, expertly maintaining their shape, color and supple feel. The collection-defining buttons on our bestselling Bailey Button boot offer a range of styling options, from traditional logo-etched wood to shimmering Swarovski® Elements crystal decadence. Renowned for its signature shimmer, Swarovski® Elements is the premium brand for the finest crystals. From buckles to rivets and studs, all of our hardware is completely customized via a range of antiquing effects, stonewashed finishes and hammered detailing.